Have you seen some new cobwebs suddenly popping up overnight, or perhaps the sounds of something trying to run away quickly as you turn on the lights in the kitchen? If so, you can bet you have a pest problem that needs attending to. Or,perhaps you haven’t yet experienced these issues,but want to avoid them. It is often much costlier to remove pests like rodents than it is to put things in place to prevent them. This is first on the list because it is the most important. When it comes to certifications for pest control, this is something you do not want to miss. First, you are potentially trusting the specialists to come onto your property and into your home. You want to know that the company you choose has all the necessary certifications and it is not a scam. Furthermore, pest control treatments can use harsh treatments that are regulated, but uncertified companies may not adhere to these regulations. 2. How Well Established Are They? Make sure the company you choose is well established in the community. Companies that are better established have more interest in seeing their local customers satisfied with the work. You can also check review sites like Google and Angie’s List to determine if local residents are satisfied with their services. Do not always go for the cheapest option, and stay away from companies that can’t give you an accurate cost estimate. Most well established and successful companies will offer free estimates for the work they provide. Additionally, look for pest control companies that will offer warranties and have no problems with accepting liabilities. This usually falls in line with ‘are they certified’. Companies that do not carry insurance should not be trusted. Furthermore, if your property is damaged or you or your loved one are harmed in any way, it may fall back on you to deal with expenses. Ask the company you’re interested in to provide proof of insurance. 5. What Range of Services Do They Provide? Not all pest control companies are created equal and you want to make sure they are going to provide adequate services. If you are looking for a pest control service that offers home and lawn treatments, make sure they perform the service you need. 6. Do They Appear Professional? Just by looking at the company’s website or seeing their trucks and technicians, do they appear professional? This is important because many companies can operate with unprofessional attitudes, even ones that seem ubiquitous in your area. In some cases it might be because they think they are the only show in town and feel emboldened to treat customers however they want.Be sure to give them a call before you hire someone, to check out their demeanor and how they respond to your questions. 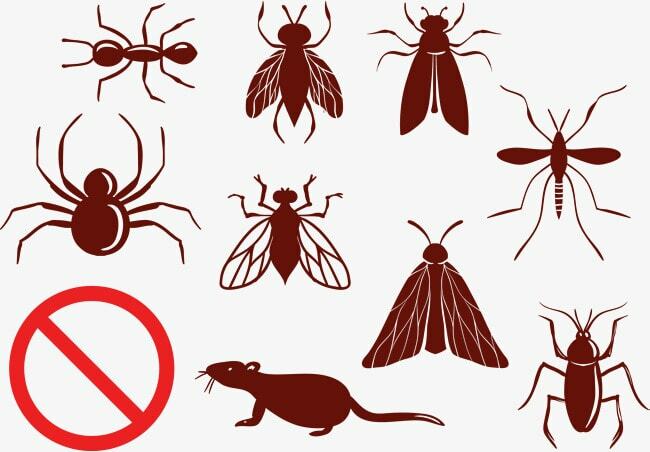 When it comes to pest control, Orlando, FL is no exception. If you are looking to take preventative measures to protect your home and loved ones from unruly pests, call Drake Lawn & Pest Control today to request a free estimate.